How fun would it be if we sign 4 frenchies to strenghten the first team? Lol imagine a midfield of kante and pogba and then an attack of bbc. Passing accuracy would be around 21% and i am being generous. Why stop there? Let's buy Giroud as well and call it Real Madrid FR instead. Sky is saying United has begun negotiations in the last 48 hours, let's hope it's true. Frankly, if we have a chance to sign Pogba and we let him go to United without flexing some muscle or trying to recruit him, I will be more upset than Juve fans. Ultimately, sports is about talent acquisition. It's the same in pretty much all organized sports. And when some of the biggest talent are available you go for them. THis to me is about talen acquisition and shitting on united. That's exactly what United did signing Martial or Bayern with Sanches. That's also what we are doing signing all those kids like Odegaard, the new Diaz kid from SA or even Gab Jesus the brazilian. We must continue. I would rather sign a 23 yo Pogba with his prime ahead than go out of my way to protect a 31 yo Modric. @Mr Nick09 wrote: Frankly, if we have a chance to sign Pogba and we let him go to United without flexing some muscle or trying to recruit him, I will be more upset than Juve fans. as far as i'm concerned modric is still the best midfielder in the world and easily better than pogba. when he slows down we might look to replace him. ceballos anyone ? Q/A : Will Kroos dominate Pogboom tonight ? Obviously we are interested but to me it looks like United are in pole position. They have agreed terms with Pogba and 26 million gross salary which is more than what Bale earns here. Plus the transfer fee is going to be upwards of 120 million. United now have to agree the fee with Juventus. Modric is not competiting with Pogba though, i wish you guys would not look at players like "is X better than Y?" In my opinion, in order to have a balance 3 man midfield, you need one playmaker (ie Modric), one anchor (ie Casemiro) one box to box (ie Kroos). Except Kroos is not a box to box, he is a playmaker, so we have two playmakers in midfield and both not great at pushing the pace from midfield. They are game controllers and no much else. have you seen any of them decide a game in CL or make a difference except on freekick or corner? At the end of the day, you need that out of your midfield as well. Adding pogba does that. So in fact it's Kroos and Modric competing with one another. Modric is 31 with a body thats breaking down... can't you see where this is going? What you've failed to grasp so far is that Madrid have been dead silent while United have already ironed out their bid. From the looks of it, United is seriously interested and Madrid is not even trying. I think if we really wanted him, we wouldn't let United gain this much ground without doing something. I still think Flo is not interested in Pogba. Being silent means nothing, because we know as much as journalist tells us, and not actually is or is not. Imo Matuidi is probably the only one on the market that can allow us to play Kroos as furthest down midfielder. He is the sort of engine Kroos needs next to him. May be useful when there is no Casemiro or Modric. The only other guy who can improve us imo is Matic and it doesnt look like we are interested in him. This is where i will stop following you because unless we play a 3 man defense, Kroos as deepest midfield will need both Kante and Matuidi by his side lol. As far as im concerned, Kroos as DM is dead and needs to stay dead. I agree about Matic but he can be an excellent back up. Everyone looks bad when there is alot of drama behind the scenes and as RM fans we should know that first hand. we "could have"... without him as anchor, we did, and we won again. you blame Iker? i think our team was soft down the middle and we were getting pushed around with him. as it always come down to, money. It's the price you have a problem with. anyway, we will disagree on Pogba, and it doesnt really matter. I agree with need another DM, since you want to count our chicken, would you rather spend upward of 35 mil to sign Matic or 25 to sign Kante? or money doesnt matter? Im not saying that Kroos cant play as anchor, i am saying it's the least successful way to play. Even when Zidane arrived, he gave a kick in the door, brought back Carlo ways, Kroos as DM and all. Within a month he understood that for the sake of team stability, the sake of our DMs, the sake of our forwards, having a defensive specialist in front of the DM was the most successful way to play. The best way to take away easy transition chances from the other teams, which we concede a lot, even vs weaker teams. So all things considered, it's a positive move and we cant go back. Kroos is playing as anchor in a double pivot for germany, not the same as a 3 man midfield. pretty much same thing Pogba has been doing in the pas two games and was very successful at. Not to mention the amount of pressing Germany does overall, i would say they press a lot more than we do. I am not hearing much on the Kante front, a few reports last week that's it, nothing since then. As for Pogba to United, well I am sure we are interested but I think we preferred to drag this one until Juve drops their asking price but the fact that there are many clubs interested its going to complicate things and if we are serious, i am sure we can pay whatever United is offering and reports seem to suggest that Pogba would take us over Utd so if we flash the money we should easily get Pogba. I would not hear the end of it with my Utd friends fans, and for that reason its better he goes any where if not here but not Utd. Kante to Chelsea seems like a fait accompli.... that's why. We have our first game of season on the 9th of August. I am assuming Zizou wants his squad finished by then to avoid the whole "settling in period" in the middle of the season. 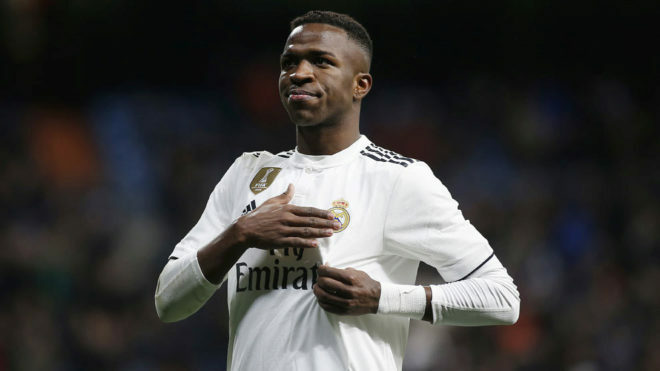 The backline and GK seems set for next season with Llorente being loaned out meaning Nacho will stay and Coentrao coming as per Zizou's request to back up Marcelo.